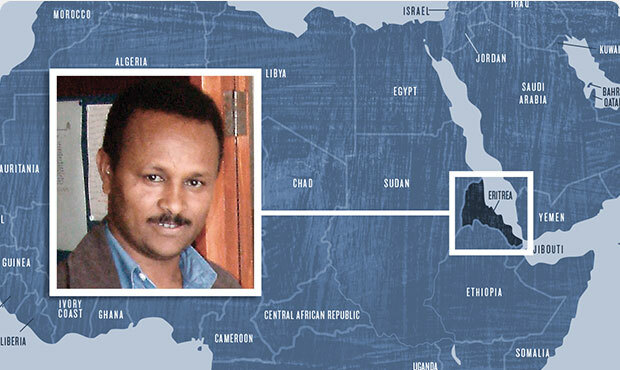 Lord, today we pray for Pastor Haile Nayzgi, languishing in Eritrea’s prison system. Lord, it’s astounding to think that people can be arrested and neither accused nor tried, yet spend a dozen years in prison. We pray for Pastor Nayzgi’s location to come to light, the truth to come out about his circumstances and “crime,” and for him to be freed as soon as possible. We pray that you will bless his ministry in prison, granting him favor with his fellow prisoners and prison workers, that they might be drawn to you through his life and testimony. In Jesus’ name we pray, amen.